The DRFS non-contact hexagonal drive rotary torque sensor manufactured by ETH Messtechnik in Germany provide accurate torque measurement in continuously rotating applications at speeds up to 10,000rpm. Its hexagonal drive makes it ideal for automobile manufacturing, test bench and assembly applications and is suitable for pulsed tools and electric screwdrivers. 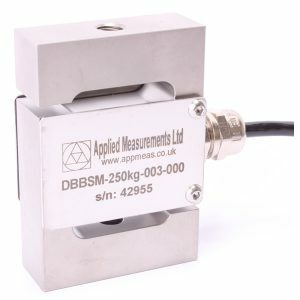 The non-contact torque sensor features integral signal conditioning giving a ±5Vdc analogue signal. It has a high interference rejection thanks to its amplified active signal. The DRFL can be supplied with customised couplings to ensure that you achieve the best possible torque measurement whilst making the task of installation and use as straightforward as possible. See our full range of non-contact rotary torque sensors.